You may have a big library for Amazon music collection, want to transfer or sync these songs to your portable device like some generic MP3 players for enjoying on the move without taking your fragile phones. However, most of songs from Amazon are copy-protected DRM files which can only be played through the Amazon Music app. That means you can't transfer Amazon music to portable MP3 players for streaming. Luckily, there are many music recorders available in the internet, which will help users get rid of the DRM restriction perfectly. With these tools, downloading or recording Amazon music will be easy enough. In the following parts, we’ve singled out two methods in particular to help you download or record Amazon music easily with best audio quality. Amazon Music is the Amazon Digital Music department on the Amazon site. It includes Prime Music, Amazon Music Unlimited, and all the other digital music that isn’t part of either of those programs. Among them, Prime Music is the free streaming service exclusively for Amazon Prime members, featuring a curated streaming catalogue of two million songs, always ad-free and on-demand. There are also hundreds of playlists and stations to listen to, which are curated by Prime team across moods, activities, genres, artists, decades and more. 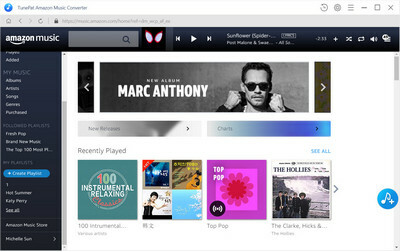 Prime Music allows users to play offline, which means you'll be able to download songs to listen to when you're not connected to the internet. With Prime Music, you can easily find the perfect soundtrack for your backyard BBQ, your morning run, or your evening study session. Amazon Music Unlimited is a relatively new offering Amazon launched as a competitor to popular streaming services like Spotify and Pandora. Compare with its little brother – Prime Music, Amazon Music Unlimited gives you access to tens of millions of songs, thousands of hand-curated playlists, and personalized stations. If you have an Amazon speaker, you can summon songs using Alexa and also get some added content, such as commentary from selected artists. Prime members can join Amazon Music Unlimited for only $7.99/month for a monthly subscription or $79/year for an annual subscription. Non-Prime customers pay $9.99/month. There are two simple ways to record music from Amazon, the first one is to use music recorder program. Now with advancement in technology, audio recording has become easy to audio record sitting at home. You just need to press the red spot button it will start to record sound and re-press the button to stop the recording process. Below are two powerful yet easy-to-use music recorders for you to record Amazon music. TunePat Amazon Music Converter is a professional Amazon Music recorder, designed specifically for Amazon users to download or record any songs, albums or playlist from Amazon Music Unlimited to MP3/AAC/WAV/FLAC format without installing any extra software including the Amazon Music app. With the help of the program, you can easily get DRM-free Amazon Music, enjoy them with various media players and transfer them to your MP3 players, car players, iPhone and more. Click on the Setting button to customize the output settings: Output Format (Auto/MP3/AAC/FLAC/WAV), Output Quality (320kbps, 256kbps, 192kbps, 128kbps) and Output Path. 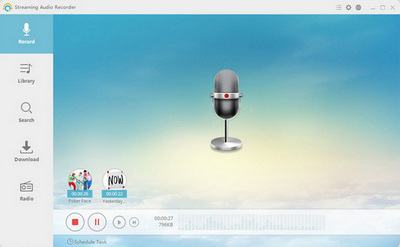 Apowersoft Streaming Audio Recorder is a fairly comprehensive recording software. It includes handy tools for scheduling recordings, editing ID3 tags, converting audio files to alternative formats and ripping and burning audio from and to CDs. It allows you to record streaming audio from music sites, video platforms, radio stations or capture sound from audio chats effortlessly. This software also includes a Video to MP3 converter with which you can convert YouTube music videos to MP3s by entering their URLs. Record music from most of music streaming sites. Support a variety of audio file formats such as WAV, OGG, AAC, MP3, etc. Auto-add ID3 tag for music files. Support to burn your audio to blank CD for listening. Convert internet videos to MP3, WMA, FLAC, OGG. Click "Start Recording" and then select the audio source.. In addition to music recorder software, you can also use online audio recorder to record Amazon music, here is a totally free online recording site to record music. OnlineVoiceRecorder.com is a convenient and simple online site that can be used right in your browser. It allows you to record your voice using a microphone and save it as an mp3 file. And it is completely free without any hidden payments, activation fees, or charges for extra features. And Voice Recorder will automatically detect silent fragments at the beginning and the end of your recording and deletes them for your convenience. After the recording is complete, you can crop it to the section you actually need. With this free recorder, you can easy record your music. It is well known that Apple also inserts DRM protection to all its music to protect copyrighted works from being copied and shared without authorization, allowing only selected devices to play the content. Worse yet, all Apple Music streams will become inoperable once the subscription is canceled. So if you need to enjoy Apple Music on more devices and keep Apple Music playable even if the subscription is over, the quickest solution is to convert Apple Music songs to DRM-free format with a professional Apple Music converter. 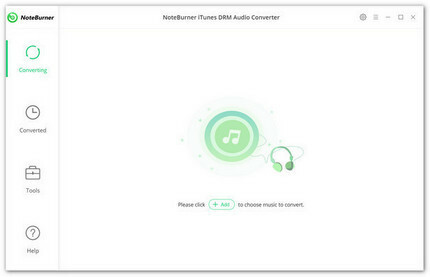 Here you meet NoteBurner iTunes DRM Audio Converter, which is a smart DRM removal app specially designed for Apple Music users to help you easily remove the DRM from Apple Music & Audiobooks & iTunes M4P music and convert them to MP3, FLAC, AAC or WAV format. Besides, with an advanced DRM decrypting technique that differs from traditional recording, it can keep the original audio quality and ID tags of the music in output files.